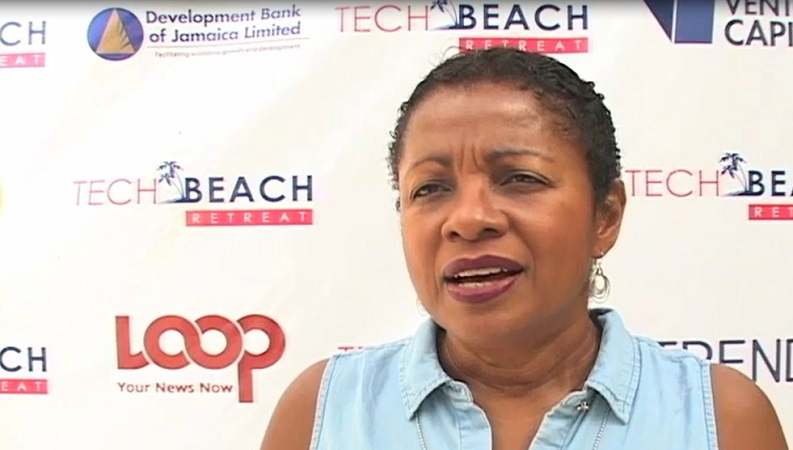 Audrey Richards, a leading advocate for venture capital funding in Jamaica, described the recently-held Tech Beach Retreat, as a critical event in the development of the local ecosystem for venture capital and private equity. The project coordinator at the Development Bank of Jamaica (DBJ) made the remarks in an interview with Loop News on the margins of the technolgy forum in Montego Bay, St James. "That's the focus of the Development Bank. We want to be able to mobilise and energise the entrepreneurial ecosystem," Richards said. "An event such as Tech Beach that brings together our local entrepreneurs (with) overseas entrepreneurs and creates that type of energy is absolutely important." The tech-focused event was designed to create dual gateways for business and innovation between the Caribbean and global markets by bringing together founders, executives, influencers and investors to exchange knowledge, ideas, cultivate opportunities and build relationships through a series of panels, networking sessions and speakers from around the world.